Tupac Amaru Shakur (June 16, 1971 – September 13, 1996), also known by his stage names 2Pac and Makaveli, was an American rapper. In addition to his status as a top-selling recording artist, Shakur was a successful film actor and a prominent social activist. He is recognized in the Guinness Book of World Records as the highest-selling rap artist, with over 75,000,000 albums sold worldwide, including over 50,000,000 in the United States. Most of Shakur's songs are about growing up amid violence and hardship in ghettos, racism, problems in society and conflicts with other rappers. Shakur's work is known for advocating political, economic, social and racial equality, as well as his raw descriptions of violence, drug and alcohol abuse and conflicts with the law. Shakur was initially a roadie and backup dancer for the alternative hip hop group Digital Underground. Shakur's debut album, 2Pacalypse Now, gained critical recognition and backlash for its controversial lyrics. Shakur became the target of lawsuits and experienced other legal problems. Later, he was shot five times and robbed in a recording studio lobby in Manhattan, New York City, New York. Following the occurrence, Shakur grew suspicious that other figures in the rap industry had prior knowledge of the incident and did not warn him; the controversy helped spark the East Coast-West Coast hip hop rivalry. 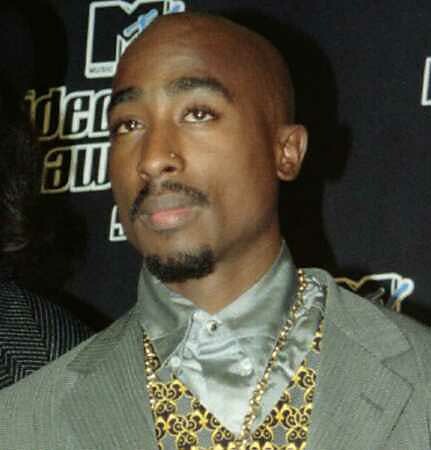 After serving eleven months of his sentence for sexual abuse, Shakur was released from prison on an appeal financed by Marion "Suge" Knight, the CEO of Death Row Records. In exchange for Knight's assistance, Shakur agreed to release three records under the Death Row label. Shakur's fifth record, the first double-disc release in hip hop history All Eyez on Me, counted as two albums.